Used as Rubber Filler, in Ceramics, Glass, Refractories, Absorbent for crude oil spills, in manufacturing of permanently dry resins and resinous compounds, paints, varnishes, paper filler, animal and vegetable oil bleaching agent, odor absorbent, filter medium, catalyst and catalyst carrier, anticacking agent in foods. We provide premium quality range of Magnesium Silicate. These are widely demanded by our global clients owing to the salient features, which include resistance to heat and electricity, high efficiency and durability. Natural magnesium silicates which are crystalline, synthetic magnesium silicates are amorphous. The finest material is intended for use as an anticaking agent and the coarser particles are for use as a filtering aid. Magnesium silicate is a chemical compound consisting of magnesium, silicon, and oxygen. 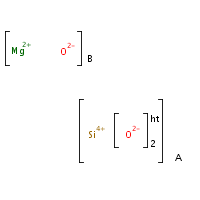 Magnesium Silicate is composed of magnesium, silica, and oxygen. 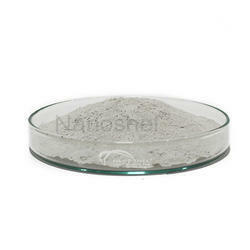 The hydrated form of magnesium silicate is a mixture of clays. This purified mixture is commonly used as an antacid. It is also used as a thickener in beauty products and cosmetics, and as an inactive ingredient in deodorants.